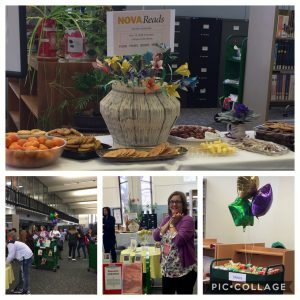 On November 27th, the Annandale Campus Library and Annandale Student Life launched NOVA Reads, a reading challenge that aims to nurture a culture of pleasure reading on campus. Over forty students, staff, and faculty attended the kickoff party in the library. 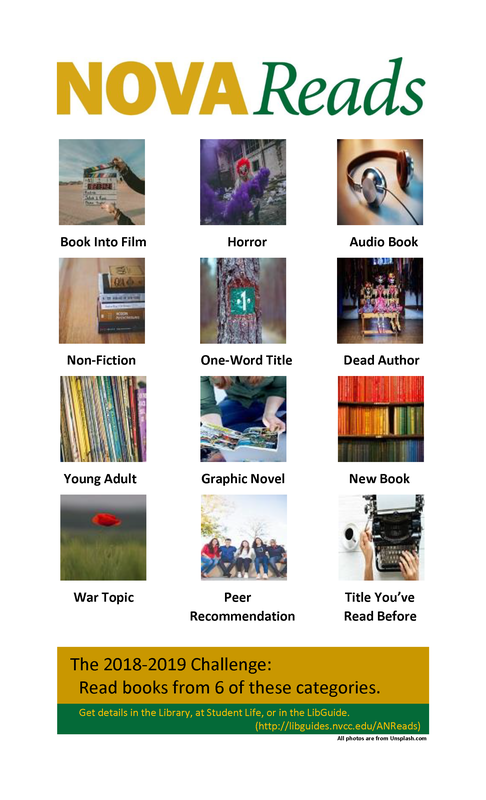 The challenge is simple: read books from six different categories (or more) by May 2, 2019. Participants select their own titles to fulfill the challenge categories. Students who turn in a completed challenge sheet/form/passport by May 2, 2019 will be entered into a grand prize drawing. All students, staff, and faculty are invited to discuss their choices and find new recommendations during monthly book chats in the library. Meetings will take place on the 4th Tuesday of every month at 2:00 PM, beginning January 22nd. Registration will continue through the rest of the semester. Visit http://libguides.nvcc.edu/ANRead for more information, and to view book recommendations in each challenge category. Or stop by the library! This entry was posted in Notices by jbae. Bookmark the permalink.